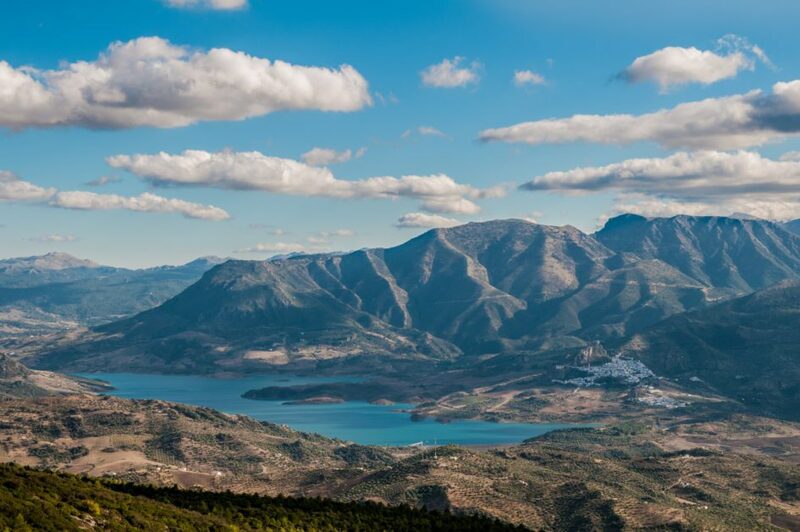 In the heart of the Natural Park of the Sierra de Grazalema you will find a small white village giving its name to this group of mountains and limestone peaks on a more than 51 hectare area. It is representative for various routes that you can find by the white towns of Cadiz and the northwest of Malaga. Join us in this true natural paradise! 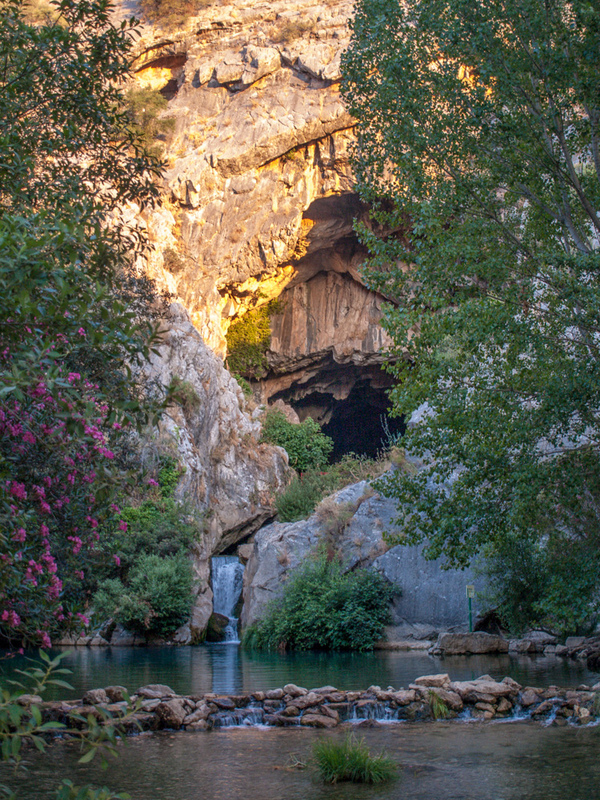 From `Benaoján’ there is a great and interesting 2 km long path to the beautiful cave `Cueva del Gato´, where you can observe the emergence of waters in the mountains of the Sierra de Grazalema. On the way, following the course of the `Guadiaro River´, we pass several, partly well preserved mills. Just at this most rainy point of the Iberian peninsula there is a peculiar variety of sprites that are at risk of extinction, such as the Pinsapo. For this reason the `Sierra de Grazalema´ has been declared a Biosphere Reserve and Natural Park. 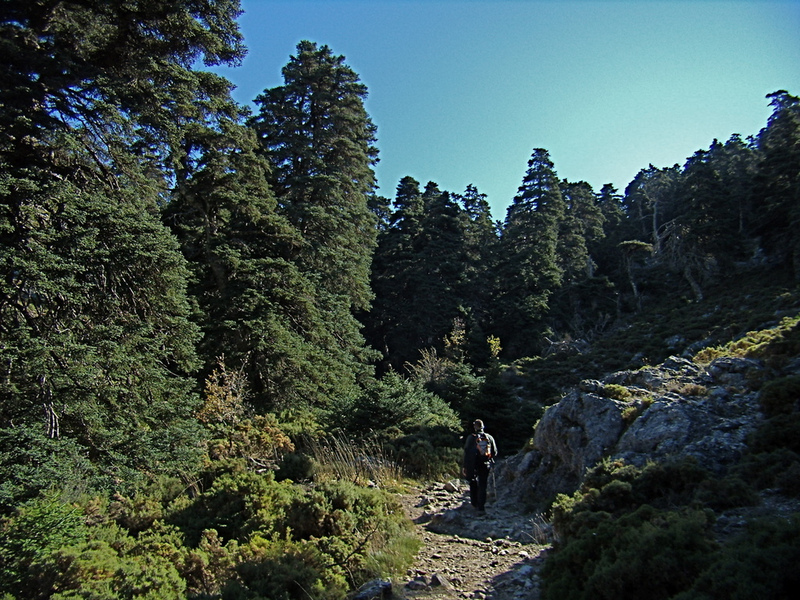 Therefore it is worth exploring this forest in the `Sierra del Pinar´ with its up to centuries-old pine trees, but only with prior permission of the Natural Park `Sierra de Grazalema´, available at the visitor center. 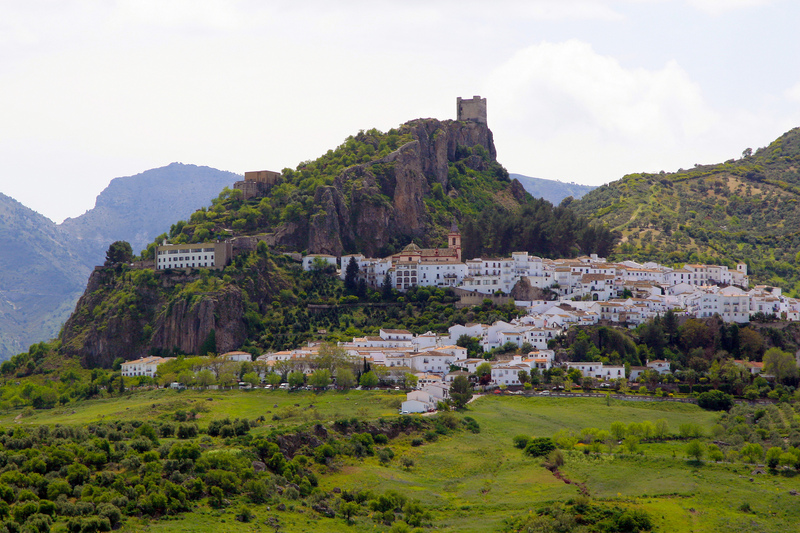 In addition to the Natural Park, there are a number of beautiful white villages in the area worth visiting: Arcos de Frontera, Ubrique, Grazalema, Zahara de la Sierra, Alcalá del Valle Setenil de las Bodegas‘ and of course the charming city of Ronda. In the midst of this splendid nature that offers Grazalema, you also need a great, matching hotel! Here are some of the most attractive boutique hotels in the Natural Park Grazalema. A quiet rural boutique hotel with only 6 rooms, at 5 km to `Ronda´, from which you can discover and enjoy the natural park `Grazalema´ and the paths of the white villages. 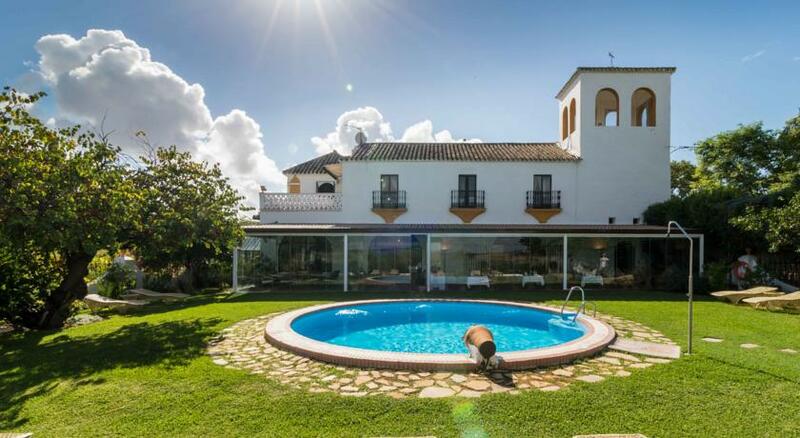 From its flowered, quiet garden with swimming pool you have great views of the valley and the village of `Arriete´. Book your stay at Arriadh Hotel now. 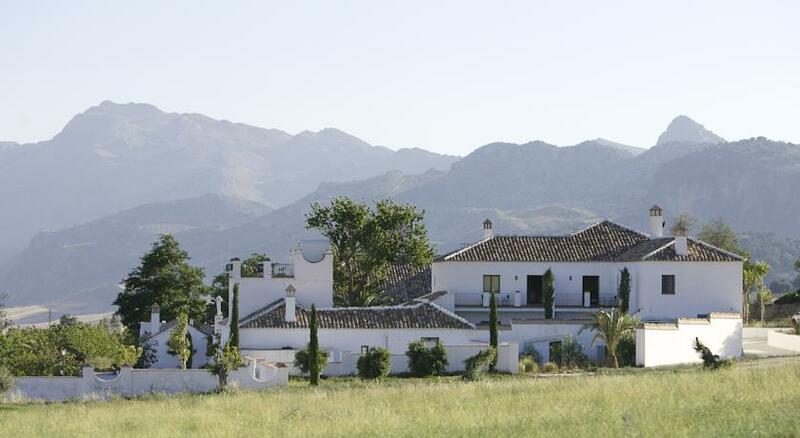 In this cozy Andalusian farmhouse from the 18th century you can rest perfectly and enjoy the beautiful natural park `Sierra de Grazalema´. The hotel is located 8 km from `Ronda´. A 10,000 m² property with garden and swimming pool surrounded by olive and fruit trees as well as vineyards. A romantic boutique hotel, just right for a weekend getaway in Grazalema. For an unforgettable evening, the suite is available four-poster bed! Reserve your romantic getaway at the Molino del Arco in Grazalema. Naturally, we won´t miss to present you a great boutique hotel in Arcos de la Frontera, one of the most beautiful white villages of Cadiz. The ideal place for a relaxing weekend, just 6 km away from `Arcos de la Frontera´, next to the Natural Park of `Grazalema´. How about a suite with fireplace for the cooler days and for romantic nights? Surprise your partner! Enjoy the Hotel Hacienda el Santiscal. Do not miss our other beautiful boutique hotels in Grazalema. You may also be interested in our boutique hotels in Cadiz.